PRESIDENT DONALD TRUMP .. MAKING AMERICA GREAT AGAIN!!! 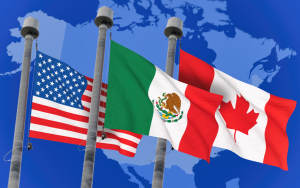 As reported at The Politico, the Trump administration announced late Sunday night that the United States, Mexico and Canada have reached a deal to revamp the North American Free Trade Agreement. Another Trump promise to the American voters has been done. And once again it is good news for Americans and the U.S. economy. President Trump has done his part, now it it up to Congress to pass and make into law. Yet another reason to vote Republican in the 2018 midterm elections so to continue the Trump-GOP economic plan. They said it couldn’t be done and Trump did it. Trump has fulfilled a huge campaign promise to the American workers. But I guess Obama thinks he should get credit for this too. The DOW is up big on the news. As stated at Town Hall, the economy is on a roll and it is due to President Donald Trump and the GOP, not obstructionist, resistance Democrats … So, let’s go down the checklist here. 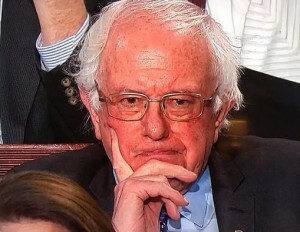 We’re cutting regulations, have opened a denuclearization dialogue with North Korea, created over 3 million jobs, boosted U.S. worker pay to its highest levels in 10 years, unemployment is at an 18-year low, consumer and small business confidence are record highs, and over three million workers received bonus checks of $1,000 or more because of the Trump tax cuts. Second quarter economic growth is at 4 percent. There are now more jobs than job seekers. The economy is booming. Weeks after being pardoned by President Donald Trump, Dinesh D’Souza is unveiling the trailer for his latest movie. 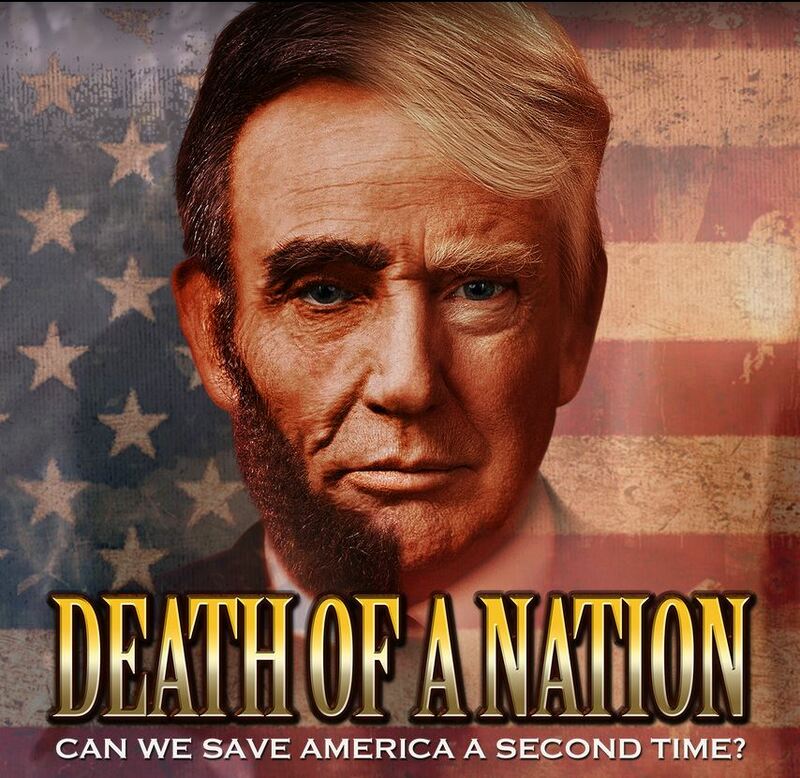 Quality Flix opens the conservative’s latest documentary film, Death of a Nation, in 1,000 theaters on Aug. 3. The film likens Abraham Lincoln to Donald Trump — saying that the situations they found themselves in as U.S. presidents are very similar, according to the filmmaker. Through stunning historical recreations and a searching examination of fascism and white supremacy, “Death of a Nation” cuts through progressive big lies to expose hidden history and explosive truths. According to a recent Rasmussen poll, 54% of Likely U.S. Voters say the parents are more to blame for breaking the law. Imagine that? If one actually wants to be honest and not political and just look at this with root cause analysis, it is obvious where the problem is. That would be using the 5 Why’s to the LEFT and Never-Trumpers. Another 54% agree with President Trump when he says, “The United States will not be a migrant camp. And it will not be a refugee-holding facility – it won’t be.” As reported at The Daily Caller, The media has put a hyper focus on the separation of families at the border over the last several weeks, leading President Donald Trump to sign an executive order ending the separation. Current U.S. law does not allow families to be detained together if the parents are referred for prosecution for illegal border crossing. U.S. SATISFACTION REACHES 12 YEAR HIGH!!! 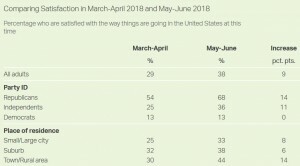 Thirty-eight percent of Americans are satisfied with the way things are going in the United States today, similar to last month’s 37% satisfaction rate but marking the numerical high since a 39% reading in September 2005. The satisfaction rate, which Gallup has measured at least monthly since 2001, has now topped 35% three times this year — a level reached only three times in the previous 12 years (once each in 2006, 2009 and 2016). Satisfaction with the nation is now back to the historical average of 37% for this trend, which was first measured in 1979, but is far below the majority levels reached in the economic boom times of the mid-1980s and late 1990s. In its first four years (1979 and 1981-1983), satisfaction failed to reach 37% in any poll, but then routinely reached or exceeded that level in 1984 through 2005 polling, with the exception of 1992-1995 (excluding one 36% reading in 1994). U.S. satisfaction has averaged 38% in May and June after averaging 29% in March and April. The nine-percentage-point bump between the two periods is entirely owing to increased satisfaction among Republicans and independents, pushing Republicans’ satisfaction to 68% and independents’ to 36%. Meanwhile, Democrats’ satisfaction is unchanged at 13%.